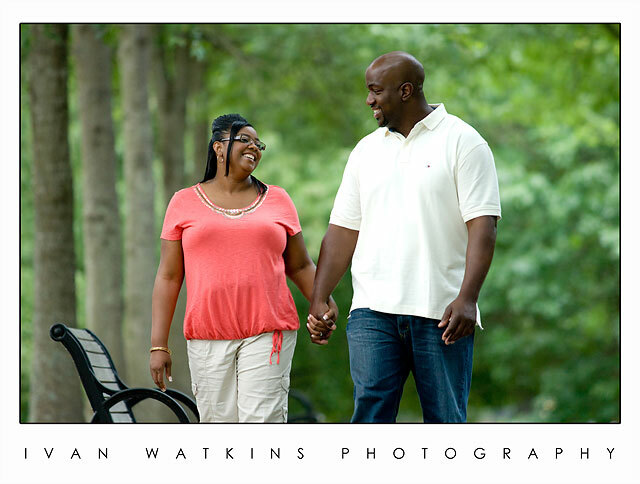 This weekend I’ll have the honor of capturing Donna & Patrick’s wedding.Â We took some time out of our schedules to fit in an engagement picture session.Â Unfortunately our outing was cut short by a torrential down pour but we still managed to get a few shots. 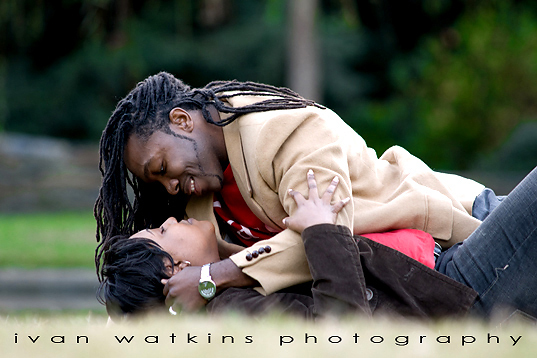 This entry was posted in 16-Engagement on June 18, 2010 by admin. 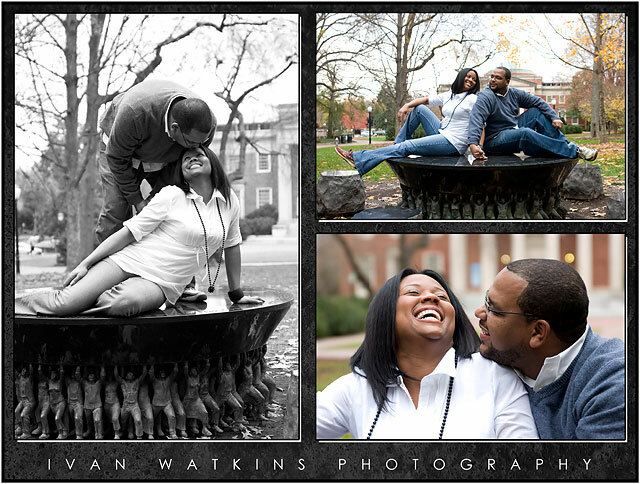 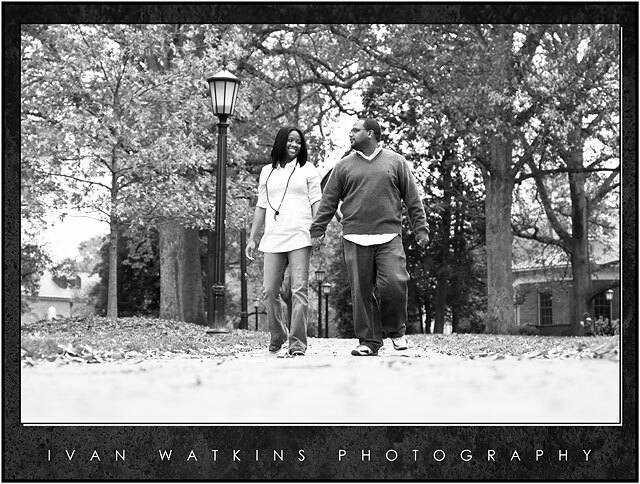 This past Sunday afternoon I had the opportunity and priledge toÂ photograph the engagement session of Tiffanie & Jerrod.Â When I first sat down to talk with them I learned that one of the things they truly love is UNC Sports.Â Â Since they are diehard Tarheel fans we decided to have the session on the campus of UNCÂ Chapel Hill.Â Â Below are a few images from our outing.Â These two had no problems talking, laughing and truly enjoying each other’s company.Â Â I enjoyed my entire session with them and I look forward to capturing the images for her bridal portrait session. 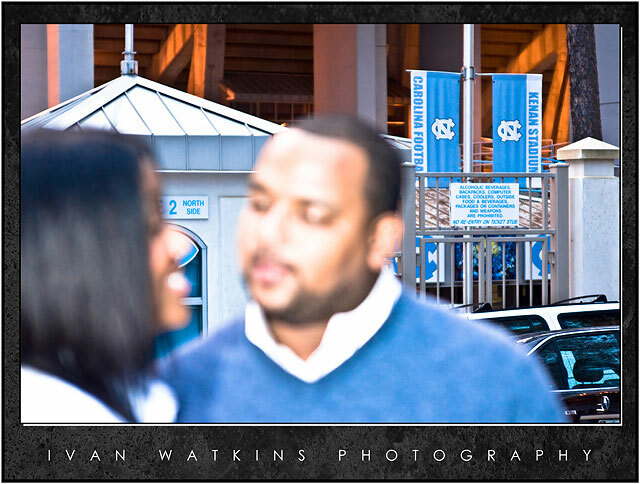 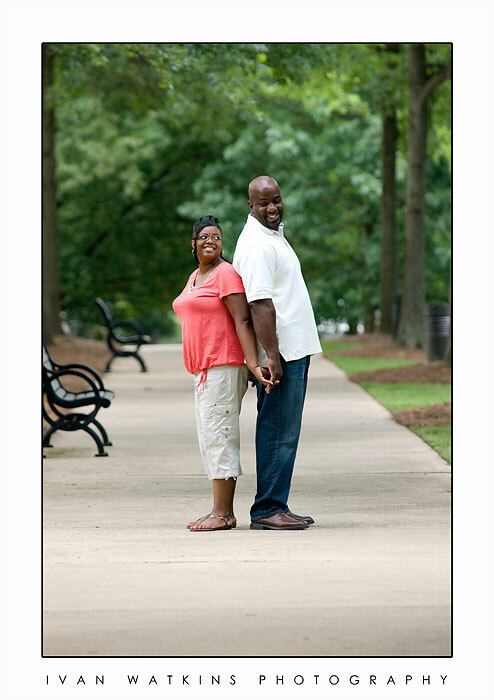 Finally got some Tarheel colors in the pictures. 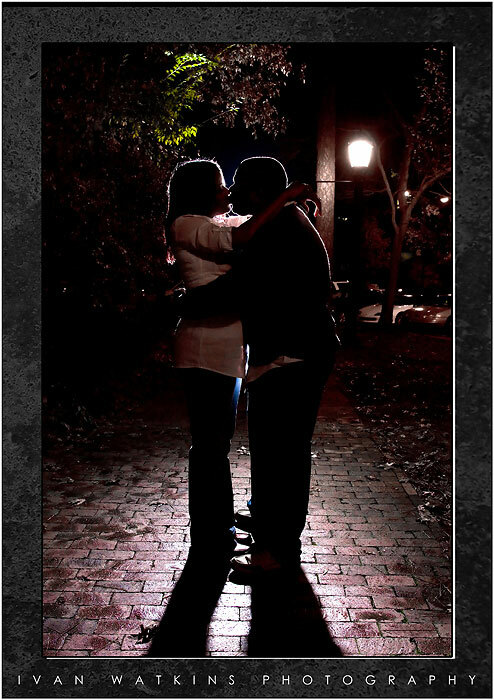 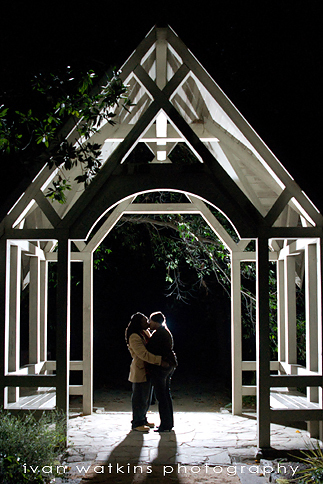 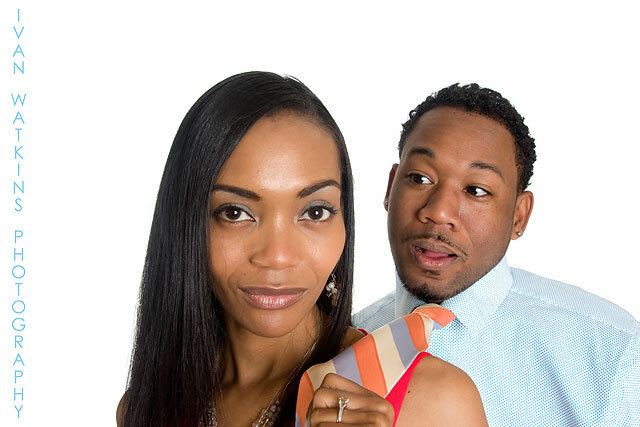 This entry was posted in 16-Engagement on November 23, 2009 by admin. 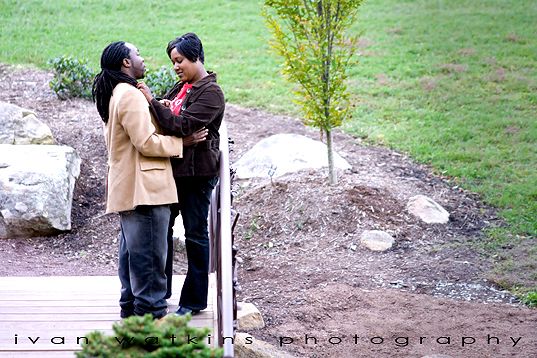 I met Charleston and Takelia and ever since we had our first meeting the three of us have just gotten along really well.Â Looking back during our initial interview process we ended up just shooting the breeze verses talking business about taking photographs.Â It is refreshing to meet a young couple that both love the Lord and want to do things God’s way.Â Â As you can tell by the photo’s below they are very out going and love to be in each other’s company. 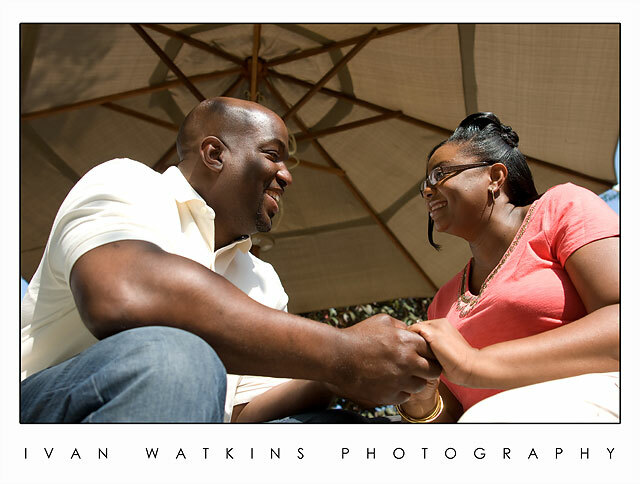 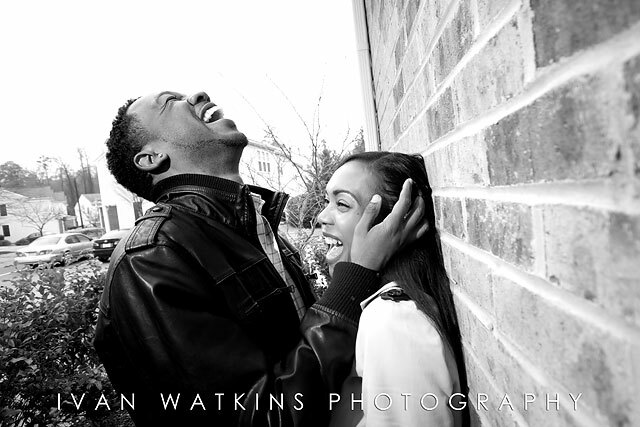 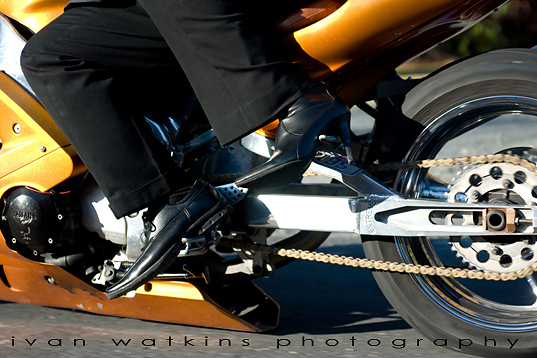 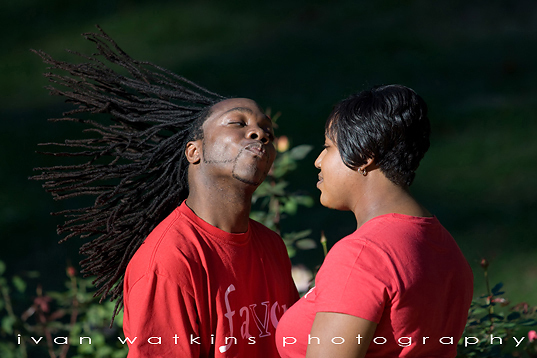 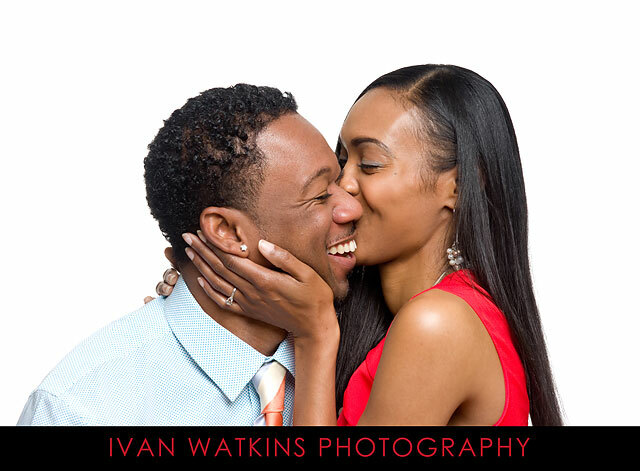 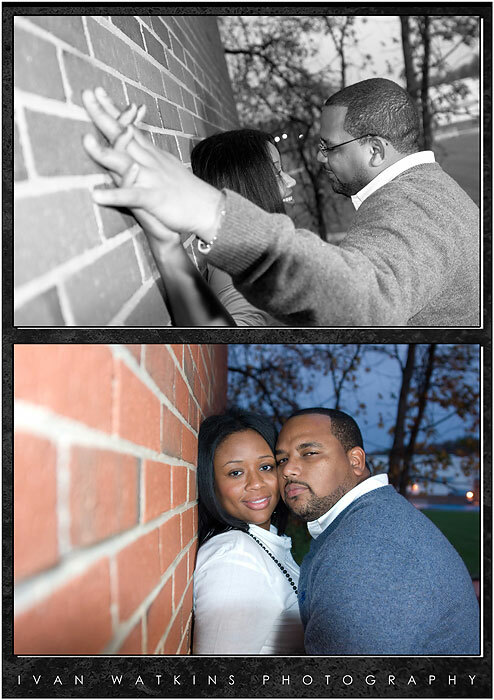 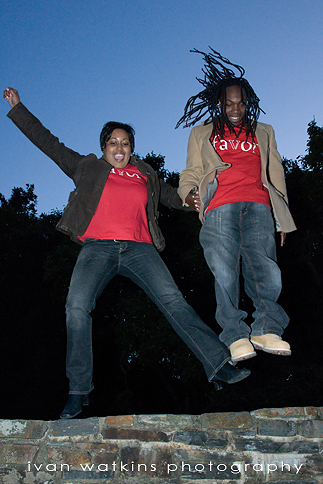 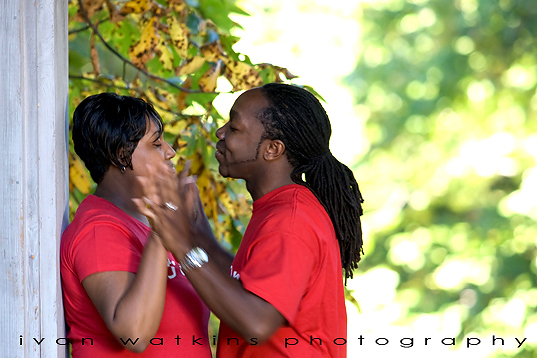 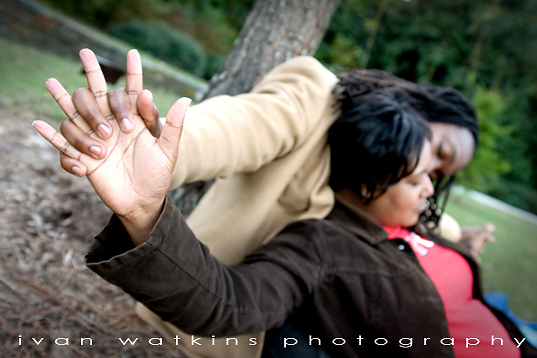 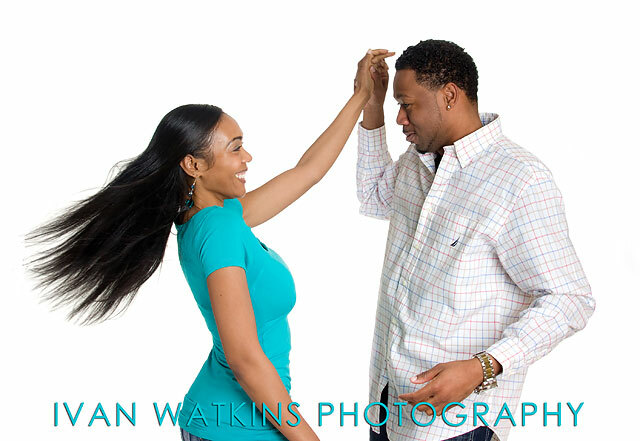 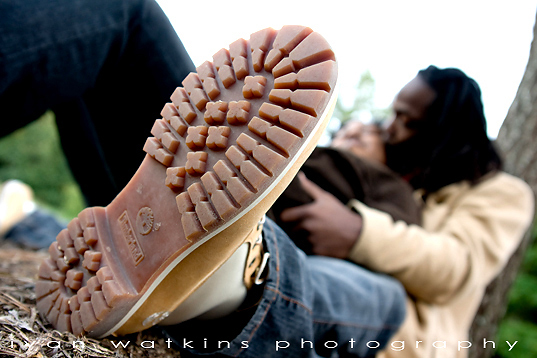 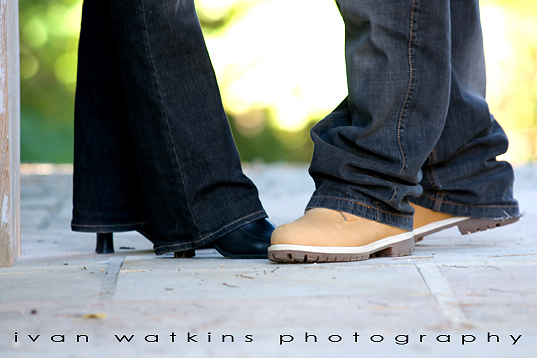 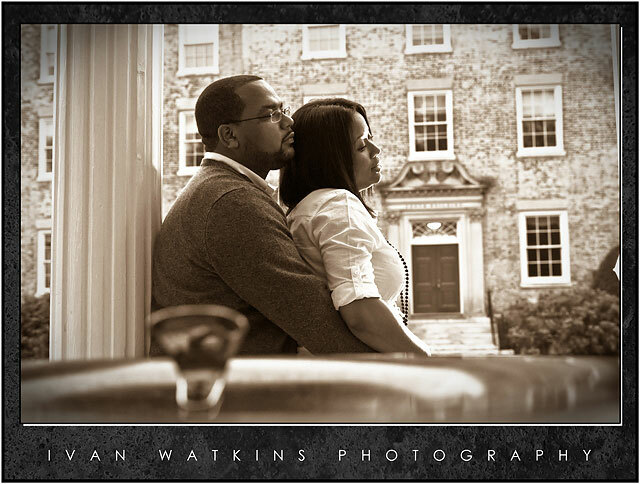 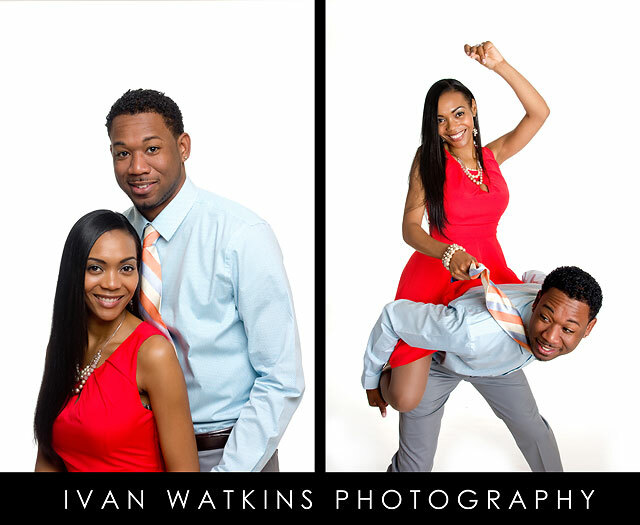 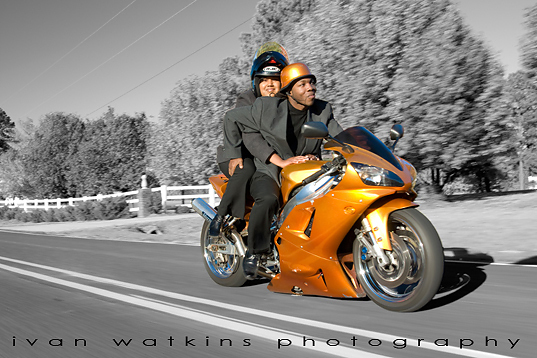 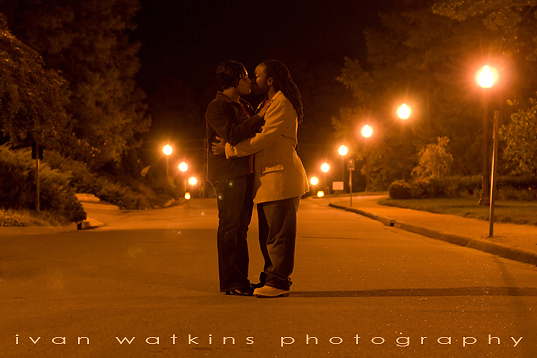 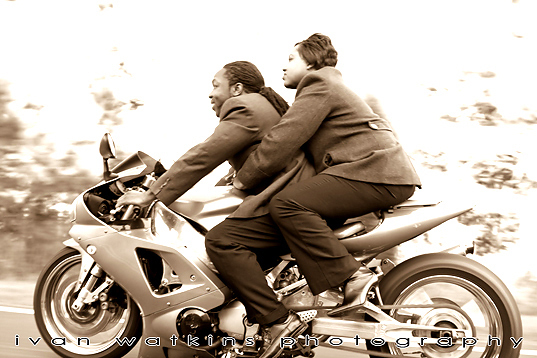 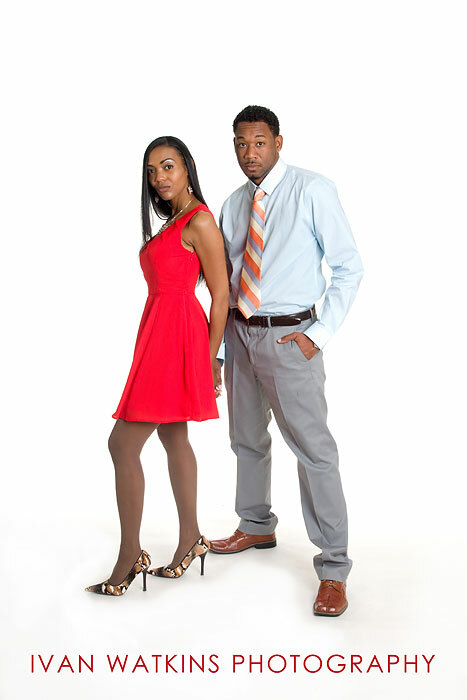 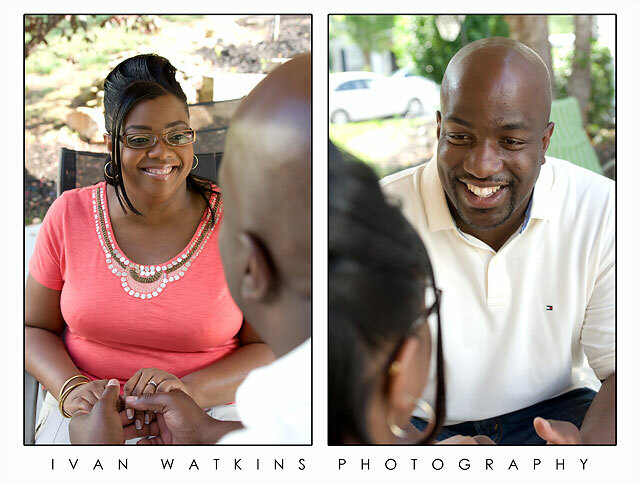 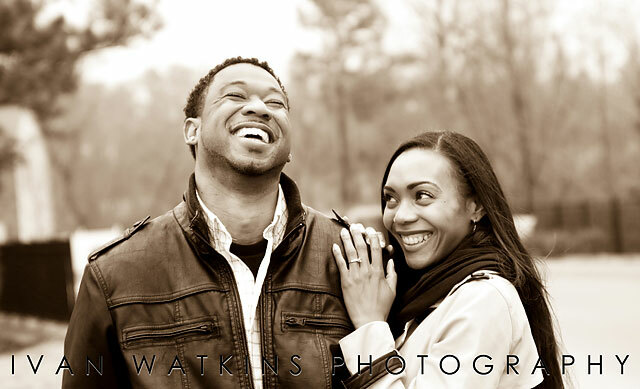 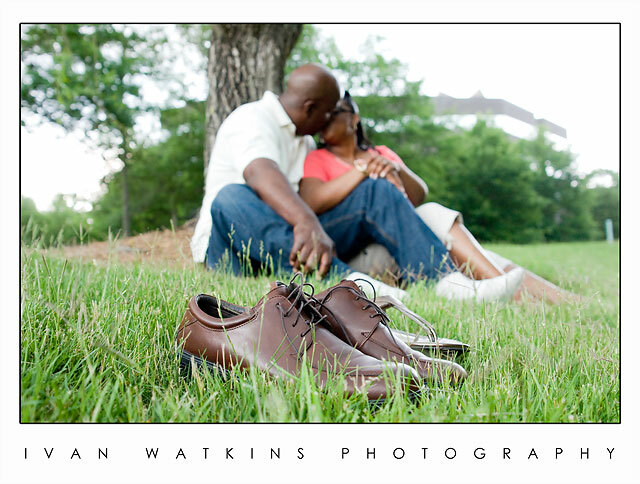 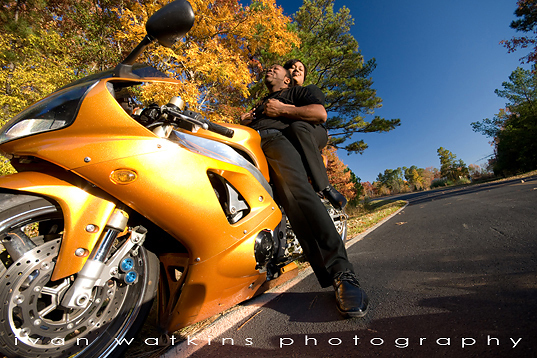 Visit www.ivanwatkins.com for your photographic needs. 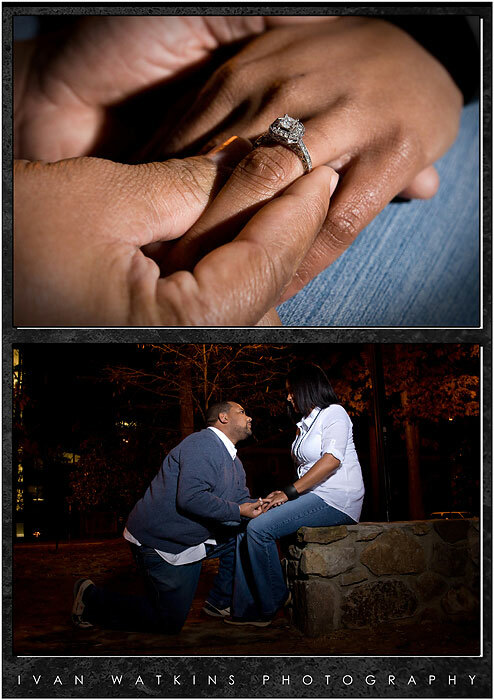 This entry was posted in 16-Engagement on November 25, 2008 by admin.